ADB Staff | Sanctuary Counseling, LLC. The journey of life can often be unpredictable. Despite our best intentions and plans, we often encounter different crossroads and life transitions. Sometimes you see them coming and other times, they come out of nowhere! Sometimes these crossroads are about yourself, such as realizing you aren’t doing what you want to do, or that you have lost touch with your inner self and who you are. Sometimes, they are about others, including relationship issues. Crossroads can be challenging, especially when you’re confronted with difficult decisions. 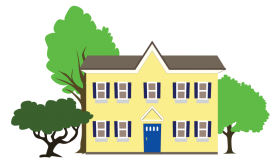 I can help you navigate these difficult, sometimes downright scary transitions! Each of my clients is a unique individual. I want to get to know you first. You are not a set of problems that need to be “fixed,” you are a whole person who I am eager to get to know and walk alongside in their therapy journey. I am committed to providing a judgement free space where you can share things you can’t say out in the rest of the world, no matter how dark you may think they are. I have found that speaking one’s truth can begin the process of powerful self healing. Deb holds a Master’s degree in Clinical and Counseling Psychology from Chestnut Hill College. She specializes in anxiety, depression, trauma, women’s issues, life transitions, and borderline personality disorder. She works with individuals (over 15) and couples. You can meet with Deb at our Audubon office Monday through Friday. Time and time again, I bear witness to people trying to prove their emotions. To walk that path safely, little of that kind of effort is needed. This is where companioning becomes an important aspect of my work, especially with grief or any kind of sudden overwhelming change. Nobody can promise to solve loss, but I can promise to sit with someone in that space and be their storykeeper as they hold that feeling that needs to be honored. I work really closely with my clients such that they know they’re always holding the reins in therapy. My teens and I talk about the idea of sitting in different depths; sometimes we want to go deep, but other times we want to stay closer to the surface. We need both! The moment is always available to check where we are in the ocean because sometimes, the answer isn’t down there today, and there’s genuine joy in the shallow end. The ebb and flow of this style is something that I find sacred, and people who are drawn to it find it especially helpful when confronting something scary or new. I care passionately about character, narrative, art and metaphor when working with people who feel really attached to pop culture and stories. Video game heroes, villains, muses: it is so helpful for someone to have found that “Wow, that’s me!” “That’s my story!” piece that adds to their lives. I wholly welcome that! Fictional characters are often metaphors for humanity, so it would be weird to leave out these comparisons. I hold so much love and care for the creatively therapeutic process and how we come to shape our art and in turn, are shaped by it. Tim holds a Master’s degree in Clinical Mental Health Counseling from Kutztown University. He specializes in gender & sexuality, grief & loss, attachment, emerging adulthood, ADHD, OCD, and challenges related to the autism spectrum. He works with kids and their parents, teens, young adults, and adults, and has experience with play therapy for kids. You can see Tim at our Audubon office Monday through Friday. Everyone deserves a space to feel heard; a place where you can explore the pieces of yourself that we feel we need to hide. I often hear people tell me that they feel like they don’t fit quite right into the world around them. Being someone who understands the pressure of feeling like you need to force yourself into a mold, I want people to know that they have a place with me, even if they feel like they don’t have one anywhere else. I love to help people see in themselves the power of their own uniqueness as well as the threads that connect us. These moments can transform their understanding of themselves and the world around them. I do not operate under any false pretenses that I have a magical solution for what you are going through. I can promise to companion you through your struggles and offer genuine, meaningful support as we walk together on this path. Although there is no responsibility on your end, my approach is to listen to you and guide you accordingly. A theme in my approach is wholeness. If you’re coming in for anxiety, we’ll work through that and incorporate discussions about where else this anxiety may spill over into your life. If you are looking to expand your understanding of yourself, we will work together to find why and how it is affecting your relationships, both with yourself and others. I believe in deep, healing work because I am able to recognize how the struggles people come in with can shine light into some of the deeper issues beneath the surface. I look forward to meeting the people who are seeking this approach to therapy and are open to exploring this kind of work. Allison will complete her Master’s degree in May 2019 in Clinical Counseling from Eastern University. She specializes in anxiety, depression, women’s issues, grief & loss, bipolar disorder, and identity exploration. She works with children, teens, and adults. You can schedule a session with Allison on Tuesdays and Wednesdays at our Audubon home. 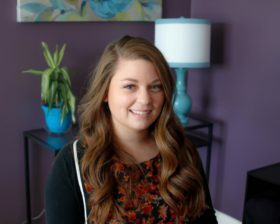 Heather founded Sanctuary Counseling to further her work with individuals (children and adults), couples, families, and groups for whom she provides counseling for depression, anxiety, trauma and abuse, loss and life transitions, identity issues, career, sexuality, and intimacy issues among others. She set out to create an embracing space in which her clients could truly feel at home, supported, held, and nurtured as they traveled with her through their own personal journeys to whole-self wellness. 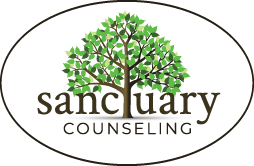 Today, Sanctuary Counseling is a thriving group practice where other talented practitioners have joined Heather in her vision of maintaining an inviting, comfortable space where people can truly let go and be themselves, open up, relax, and be fully present as they do the serious work of effective therapy. 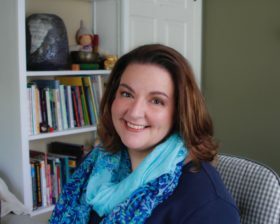 In addition to holding a Master’s degree in Counseling Psychology from Eastern University, Heather is a Certified Thanatologist as well as a Nationally Certified Psychologist. Further, Heather is a member of the American Psychological Association, American Counseling Association, and the Association for Death Education and Counseling. She has served in a wide variety of settings, including private agencies, public schools, and non-profit agencies. Heather has an extensive background in and affinity for working with members of the LGBTQ community. Additionally, she specializes in grief and bereavement counseling. She was awarded first place in the American Counseling Association’s 2006 national ethics competition, speaks regularly throughout the community on issues of mental health, particularly grief and bereavement, and particularly enjoys incorporating the creative and expressive arts into her work with clients when appropriate. You can contact Heather at our Douglassville location. Heather sees clients at both our Douglassville location and Audubon location.